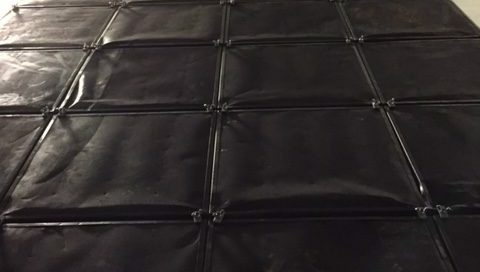 Carbon Panels Using Activated Carbon For Air Treatment - Fullerton, Santa Ana, Anaheim | Pure Effect, Inc.
November 6th, 2018 Pure Effect, Inc. Carbon filtering is used for air quality management because it is an effective method of filtering, which utilize a piece of activated carbon to eliminate the impurities and pollutants from the air with the help of chemical adsorption. When the carbon adsorbs the contamination, they get attached to it by chemical attraction. The large surface area of activated charcoal provides them with a myriad of bonding spots. When a certain compound passes nearby the carbon surface, it attaches to the surface and gets trapped. There are two main kinds of carbon filter utilized for the air quality management. Every piece of carbon is calculated to deliver a vast fragment of surface area, in order to provide pollutants with the possibly widest exposure to the filter media. This carbon is mostly activated with a positive charge and is aimed at attracting negatively charged pollutants in the air. Refillable carbon filters are commonly used for air quality management. Activated carbon can be boosted and infused and custom blended to become a further expert adsorbent. Activated carbon is also identified as stimulated coal or stimulated charcoal. It is a type of carbon, which has been treated to make it highly permeable and therefore it offers an extremely vast surface area for adsorption and chemical reactions. Necessary activation for useful air quality management may come purely from the availability of vast surface area, however additional chemical treatment mostly improves the adsorbing abilities of the material. Pure Effect offers a super impregnated carbon blend for air quality management.